I love when these guys come back in season. 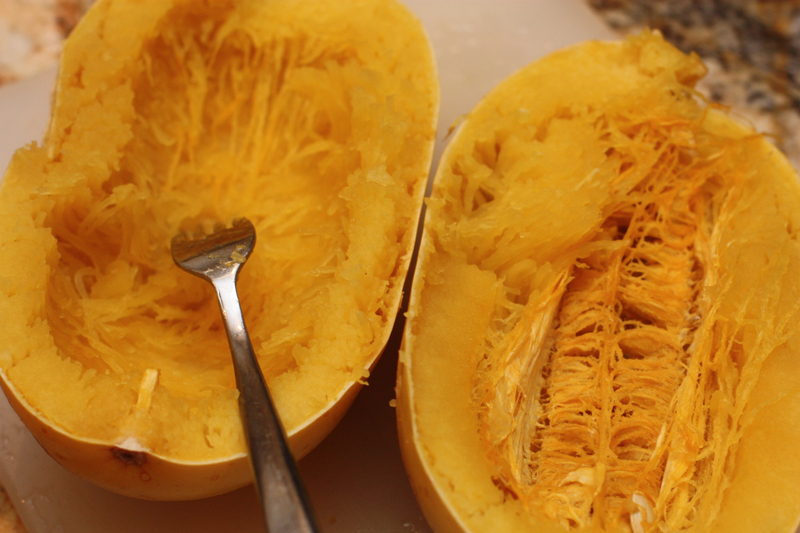 It's so nice to have a pasta alternative as a grain-free foodie. It has a pretty mild taste so it goes great underneath a pungent tomato sauce, but can also hold its own with just a little olive oil or butter and seasonings. Here's a little tutorial on how to prepare them to go hand-in-hand with some of my upcoming recipes. 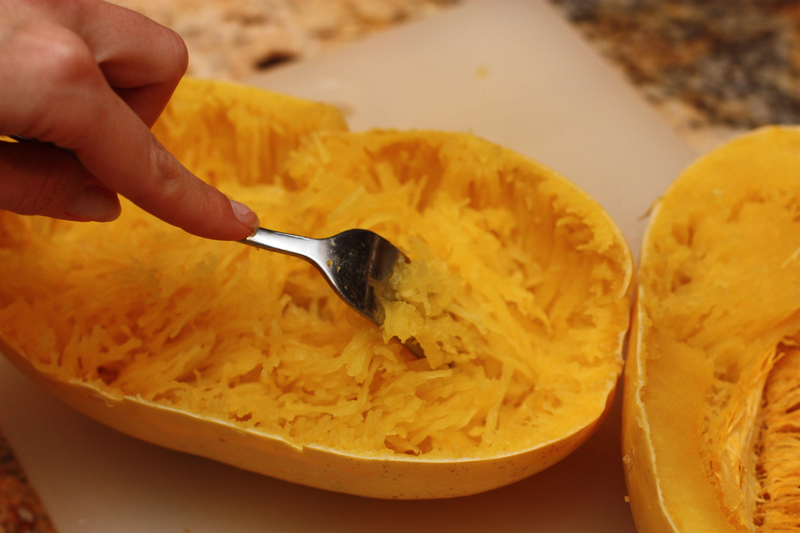 Here's some recipes that go great with spaghetti squash!